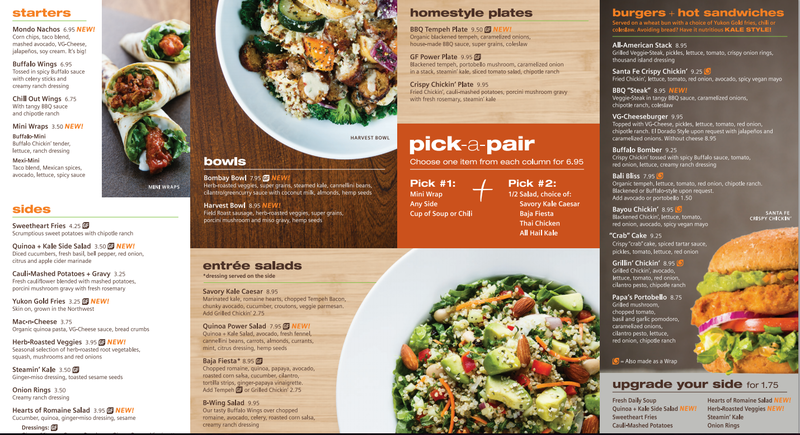 Shut the front door: A New Menu at Veggie Grill!? Veggie Grill is a vegan’s dream come true. Relatively healthy, reasonably priced, consistent quality vegan food. It is so great to have an entire menu to choose from. I am especially excited with their new menu just released today! The mini-wraps look awesome (I prefer Buffalo), and Yukon Gold french fries!? Yes please. Check it out for yourself (PDF)!